At the Fourth of July celebration, an explosion rocks Sinful and it’s not from fireworks. 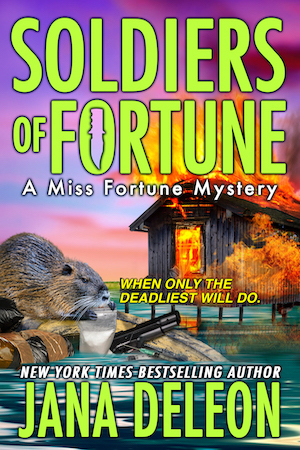 Most people assume it was a moonshine still, but when evidence points to a meth lab deep in the bayous of Sinful, Fortune realizes how dire the situation is for the tiny town. With Carter on medical leave and no one left at the sheriff’s department who can handle the investigation, Fortune, Ida Belle, and Gertie decide to take matters into their own hands.